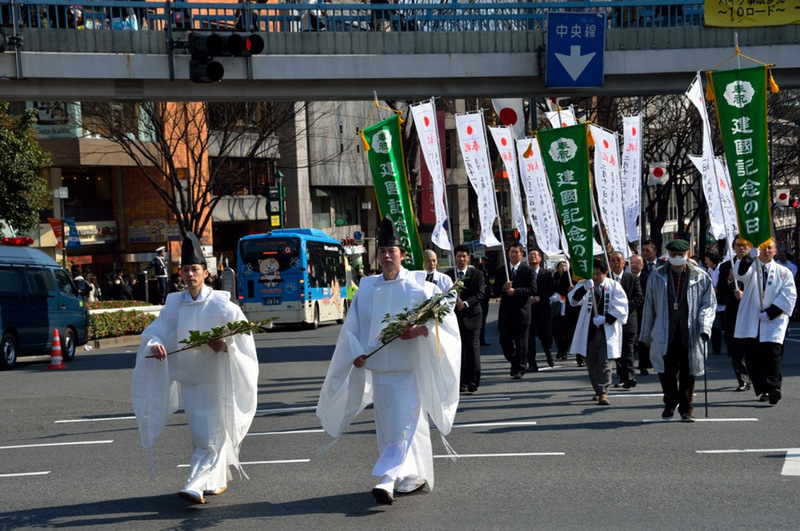 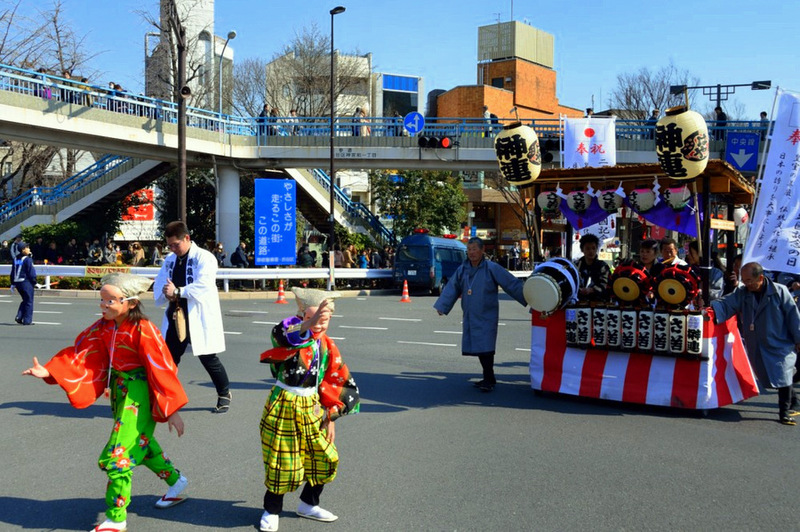 Kenkoku Kinen-no-hi Hoshuku Parade is held on the National Foundation Day, celebrated annually on February 11 and marking the foundation of Japan and the accession of Jimmu, the first Emperor of Japan to the throne in 660BC. 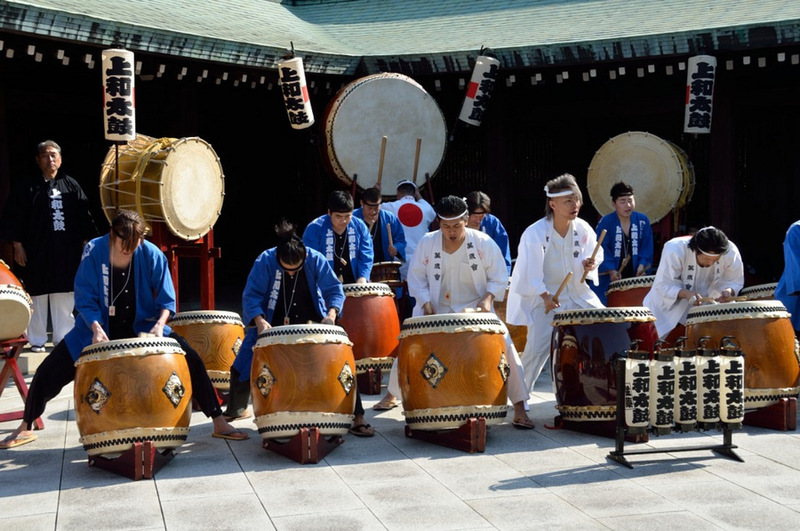 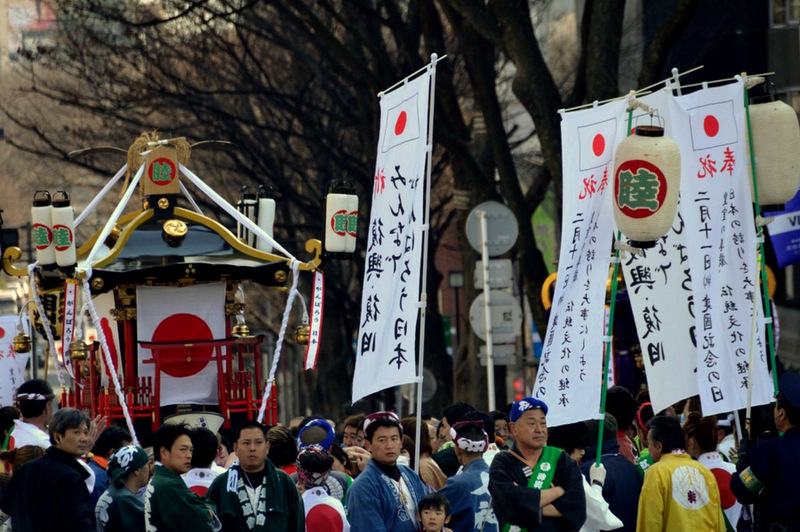 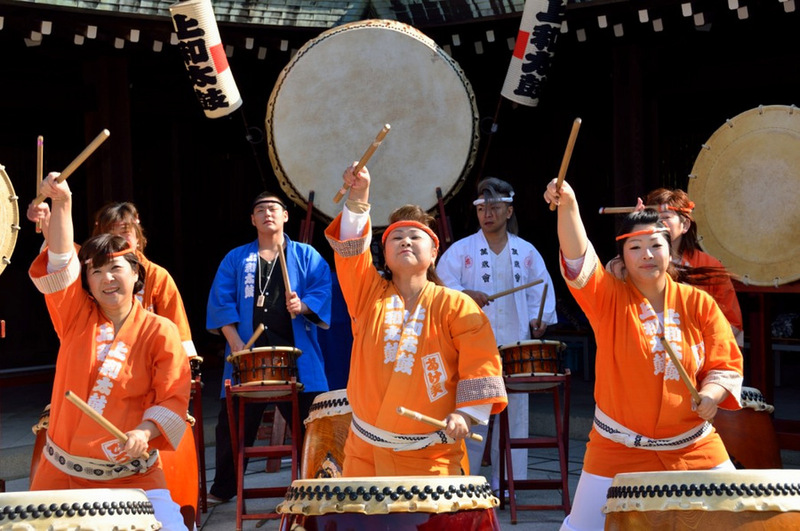 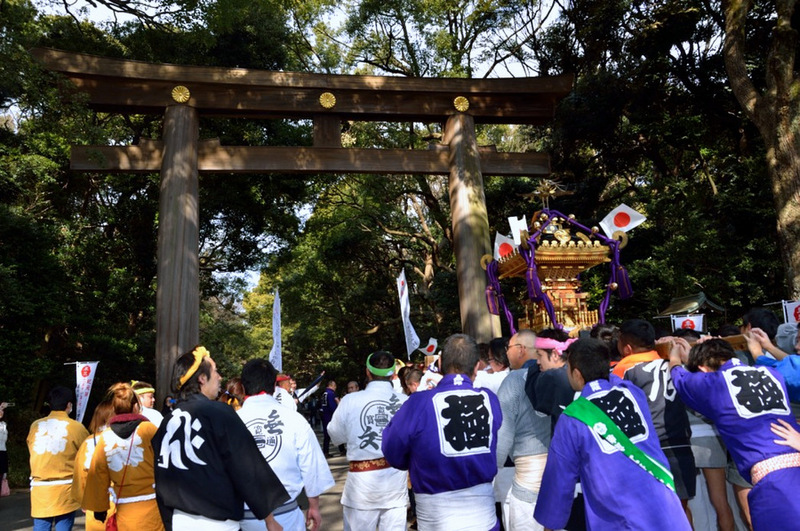 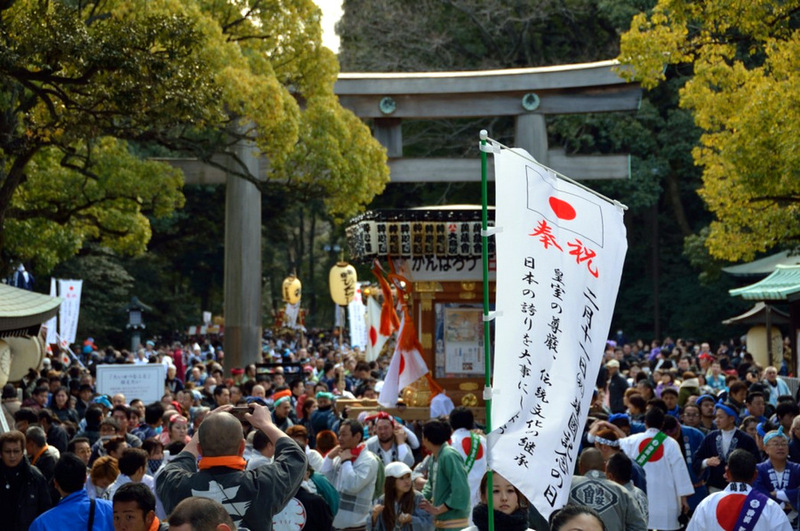 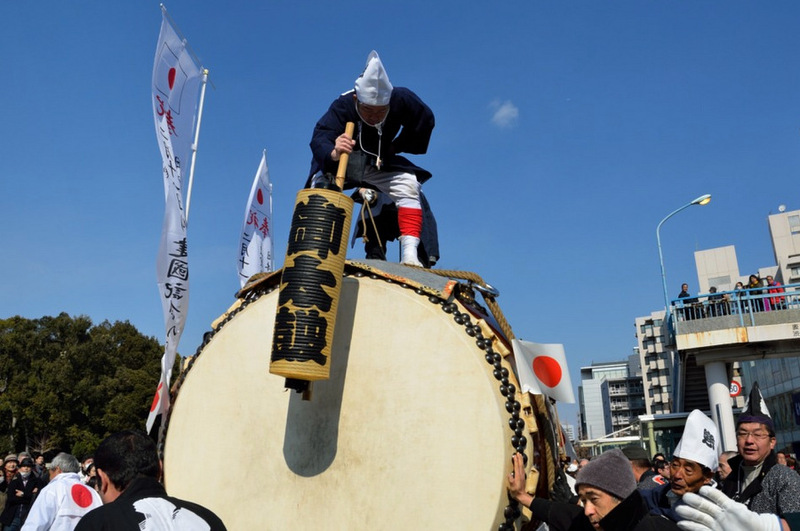 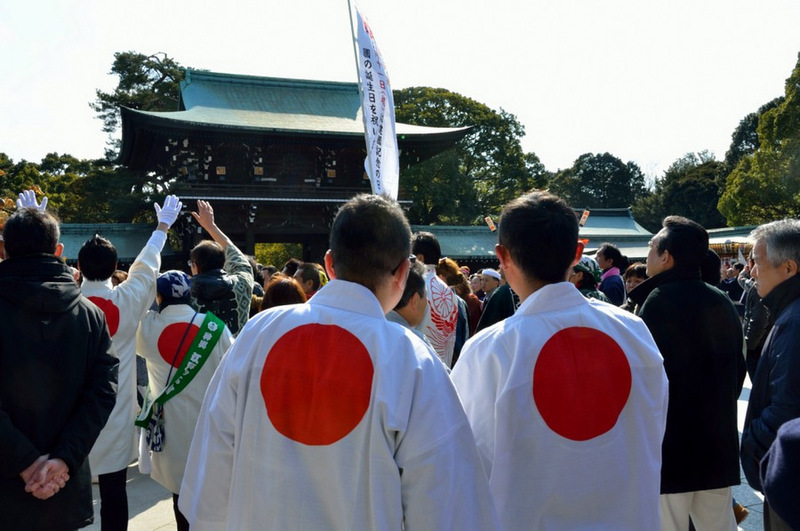 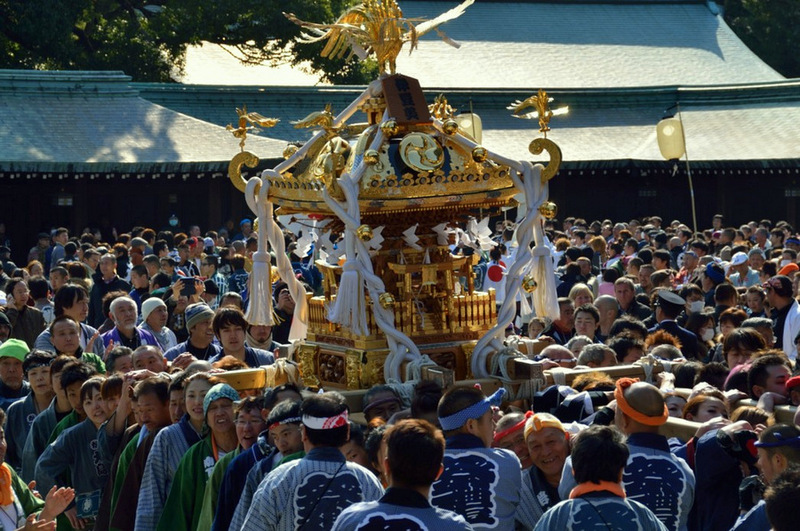 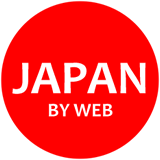 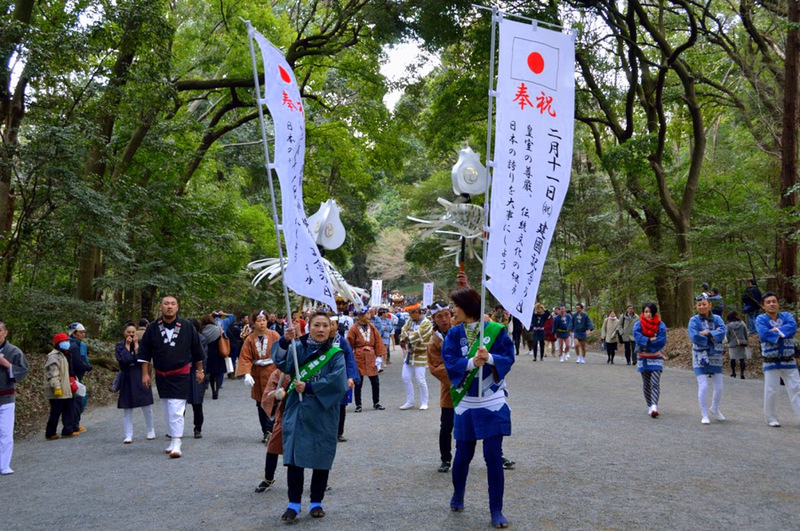 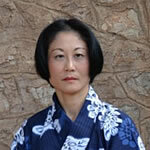 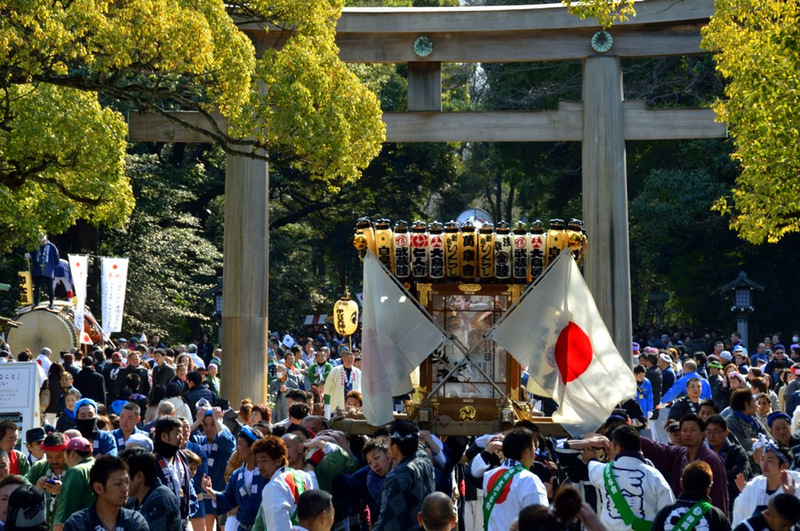 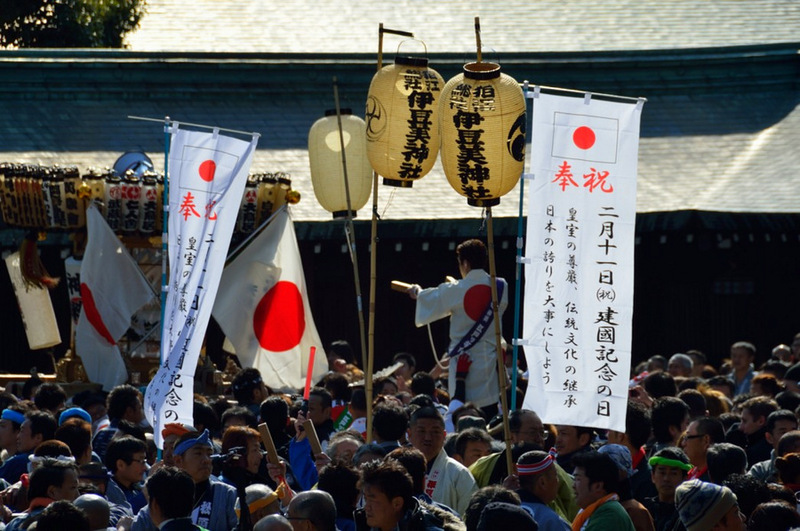 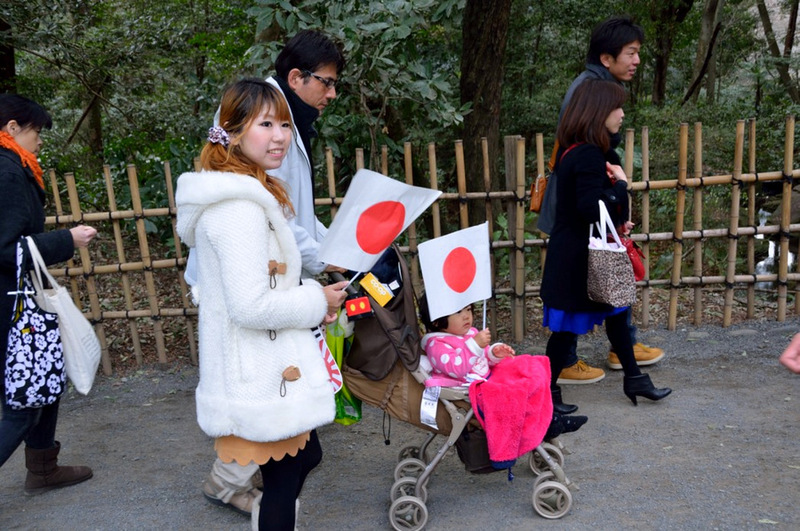 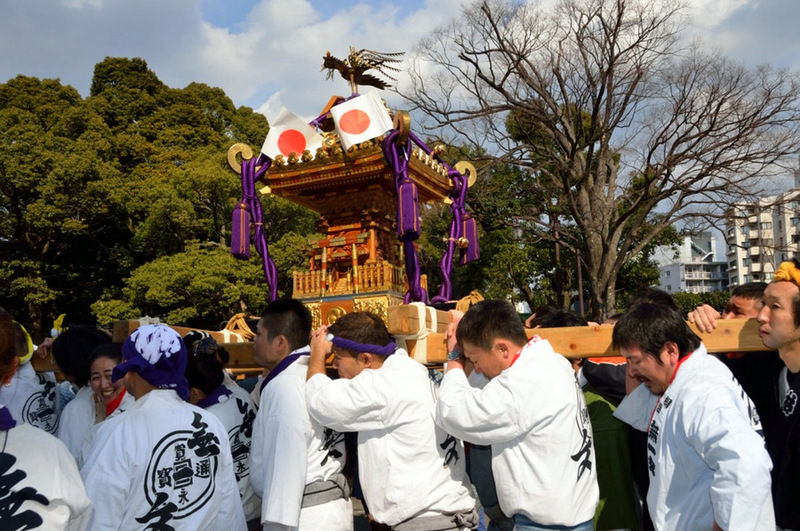 The parade starts from Meiji Park at 10 a.m., proceeding along Gaien-Nishi Street, Aoyama Street, and Omote-Sando Street where mikoshi (portable shrines) join the parade, and then reaches Meiji Shrine around 12:30 p.m.
Emperor Jimmu – Stories from “Nihonki” (Chronicles of Japan), by Ginko Adachi. 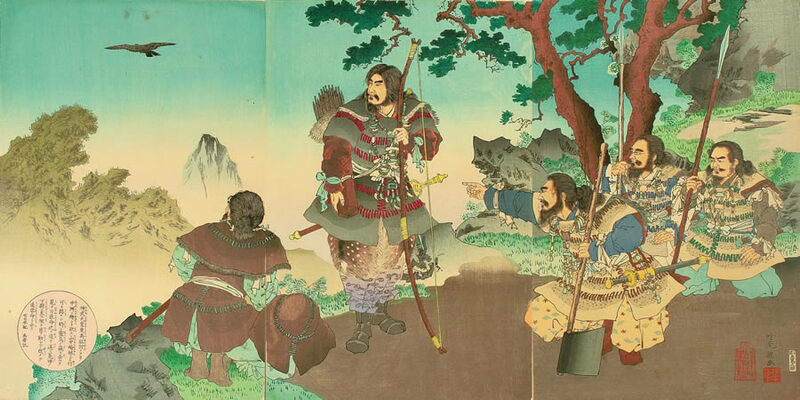 Woodblock print depicting legendary first emperor Jimmu, who saw a sacred bird flying away while he was in the expedition of the eastern section of Japan.